Shady Grove Medical Center (SGMC) in Maryland is proud of nurse advocate and SGMC’s Critical Care Educator, Shevaun German. Recently Shevaun’s work was highlighted in her hospital’s May-June 2016 edition of RNNews. The newsletter accurately reported the proposed National Nurse role has the potential to address healthcare disparities by communicating disease prevention information to nursing associations that, in turn, would trickle down to its members. Thank you to NNNO Advocacy Team member Lisa Hoffman BSN, RN, MS for coordinating a meeting with Congresswoman Martha McSally (AZ-2). Many nurse constituents attended and all enthusiastically discussed merits of H.R. 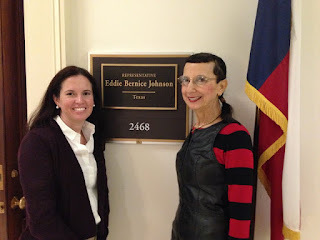 379 The National Nurse Act and also answered questions. 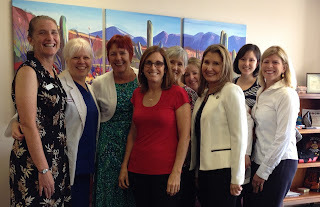 The meeting was a great success as Congresswoman McSally decided to join the list of co sponsors for the bill. We are all grateful for her support! 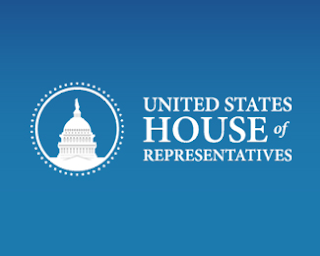 Thank you to the following members of the U.S. House of Representatives for joining the now 95 co sponsors for H.R. 379 The National Nurse Act of 2016. It's exciting to see the progress being made for this bill. 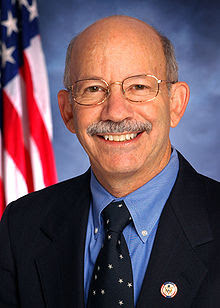 Representative Peter DeFazio (OR-4-D) is now the longest serving House member in Oregon’s history. Rep. DeFazio is committed to reining in the escalating costs of health care and ensuring access to quality health care for all Americans. He is a member of the House Nursing Caucus. 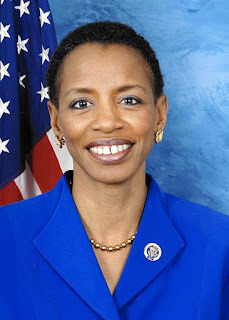 In June 2008, Representative Donna Edwards (MD-4-D) became the first African American woman elected to Congress. Rep. Edwards has enjoyed a diverse career as a nonprofit public interest advocate and in the private sector on NASA’s Spacelab project. In 1994, as co-founder and executive director of the National Network to End Domestic Violence, she led the effort to pass the Violence Against Women Act that was signed into law by President Clinton. 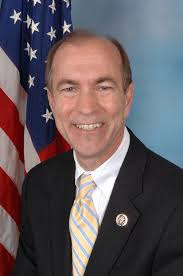 Representative Scott Garrett (NJ-5-R) serves as a senior member of the House Budget Committee. Rep. Garrett believes we need meaningful health care reform that decreases costs, increases accessibility and improves on what is already the best health care system in the world. 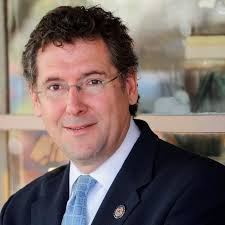 In the House of Representatives, Representative Gregg Harper (MS-3-R) serves on the influential House Committee on Energy and Commerce. 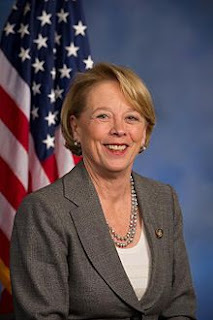 Mississippi’s senior House Republican also sits on the select Committee on House Administration, a special appointment made by former House Speaker John Boehner. On April 29th, 2016 upon the urging of her constituents, Representative Ann Kirkpatrick (AZ-1-D) signed on as a co sponsor to H.R. 379. 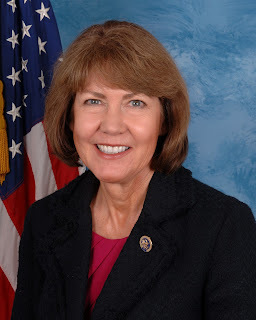 Representative Kirkpatrick serves on many health-related caucuses including the Healthcare Innovation Task Force, Youth Drug Prevention Caucus, the Congressional Diabetes Caucus, and the Mental Health Caucus. The family of Representative Rick Larsen (WA-2-D) has been building a legacy in the Second Congressional District for more than a century. Throughout Representative Larsen’s tenure in Congress he has advocated for health care that fits Northwest Washington’s specific needs, including funding for critical access hospitals, better health services for veterans and Medicare beneficiaries, and health care that fits families’ budgets. 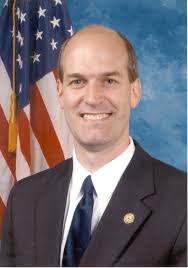 Representative David McKinley (WV-1-R) has represented the First District of West Virginia since January 3, 2011. As one of two professional engineers in Congress, he has a seat on the Committee on Energy and Commerce. 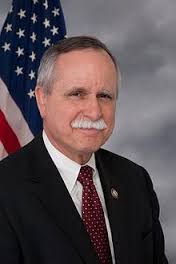 Representative McKinley’s wife is a nurse and he is a member of the House Nursing Caucus. Representative Martha McSally (AZ-2-R) proudly represents the people of Arizona’s Second Congressional District. 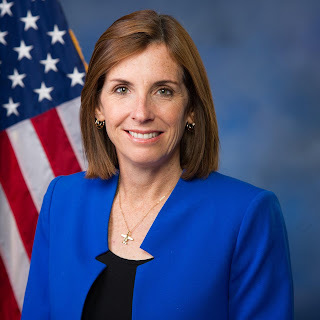 Prior to serving in Congress, Representative McSally served 26 years in the U.S. Air Force, retiring in 2010 as a full Colonel. She is the first female fighter pilot to fly in combat and first to command a fighter squadron in combat in United States history. 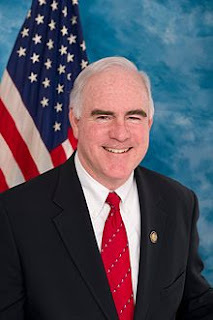 Currently serving his third term in Congress, Representative Patrick Meehan (PA-7-R) serves on the influential House Ways and Means Committee, as well as the Committee on Ethics. Representative Meehan is the husband of a nurse practitioner and is well aware of the need for quality care and access to our health care system.